Imagine you knew how to grow healthy and pesticide-free mushrooms in a way that people would swear you purchased them from organic farmers. Well, I'm going to reveal to you all the secrets of organic mushroom cultivation, no matter your starting level or whether you have no clue about it at all. If you want to become an expert mushroom grower, whether as a hobby or for profit, keep reading, because this is the most important page you'll ever read. You see, I love to eat mushrooms. I put them on salads, soups, stews and practically anything else I make. Shockingly, I found troubling news. Did you know that mushrooms are as absorbent as sponges? 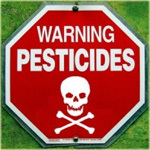 Pesticides sprayed on them by farmers encompass their whole being. Reading this information was enough for me to stop eating mushrooms. Through the process of learning how to grow mushrooms, I made a lot of mistakes, but also gained a lot of knowledge and practical experience. Never giving up, I learned how to cultivate healthy, organic, natural mushrooms and at a fraction of the cost of store-bought ones. I soon started having more mushrooms than I could use myself, and so started giving to family and friends...and everybody said that they were the tastiest mushrooms they had ever had! The demand for my organic mushrooms was so high that I started my own mushroom growing business. 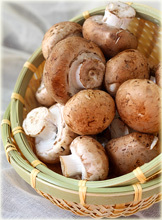 It was an immediate success and is still one of the top organic mushroom producers in the country. The great thing about growing mushrooms organically is that people are willing to pay you much, much more for them than what they would pay for non-organic varieties, because today everybody is realizing how harmful pesticides can be. One day, a customer asked me to teach him how to grow mushrooms. I happily showed him. And that's when the idea of teaching people how to grow their own healthy organic, pesticide-free mushrooms was born! A few months down the road, and I created the Mushroom Growing 4 You system, so you, too, can stop buying harmful mushrooms from the market but still enjoy eating mushrooms. After all, everyone agrees that home grown mushrooms taste better, are healthier and definitely less expensive than getting them from the store! 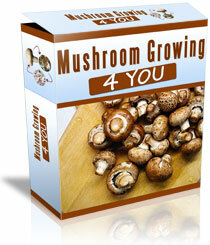 Mushroom Growing 4 You will guide you step-by-step on how to grow mushrooms at home. Over 155+ pages full of instructions and illustrations. HD (High Definition) step-by-step instructional videos guiding you all the way. How to create and maintain the proper environment for maximum growth. Grow natural, great tasting mushrooms on your very first attempt. Different methods to increase mushroom's moisture, potency and growth. The Grain Method - from the start to harvesting your mushrooms. The BRF Method - from the start to harvesting your mushrooms. Making a Still Air Glove Box with cheap parts. Incubation Chamber - How to build your own. Fruiting Chamber - make your own in less than an hour. Easy-to-use tools needed to grow mushrooms from the comforts of your home. Harvesting your mushrooms the proper way. All about Agar and sterilization. If you've been reading up to this point, I'm sure you're getting excited to know that soon you'll be able to grow your own pesticide-free, tasty mushrooms. The best part is, even if you're on a tight budget, you can still start growing your own mushrooms from home. Listen, from one mushroom lover to another, everyone deserve to eat healthy mushrooms. And, since mushrooms are one of the items on your favorite food list, you're also entitled to eat them without being exposed to harmful pesticides and only God knows what else. Many people are shunning store-bought mass-produced foods, and instead are turning to home grown produce, and so should you. Do it for your health, profit or BOTH! "I harvested my first home-grown mushrooms..."
"I harvested my first home-grown mushrooms today and I am so happy! I love eating mushrooms and have been thinking about trying to grow them for a while, but I always thought it was extremely hard and believed you needed specialized equipment. Then a few weeks ago I stumbled across your site and felt I should give it a try. I was amazed at how much your guide simplified things, and I got started right away. Today I can say that I'm a mushroom grower...thanks to you! I'm already thinking about scaling up and trying to turn this into a source of income. Wish me luck!" "We found your guide very helpful and the videos made sure that we were getting all the steps correctly..."
"Dear Jake, I purchased "Mushroom Growing 4 You" a few months ago and today I came across your website again and felt I owed you a thank you note. You see, I was never into gardening; don't really have the patience for it. As of last year, my wife has been suffering from a lot of allergic reactions (mainly asthma, eczema and hay fever) and her doctor told her that it was likely that chemicals and synthetics in the food are triggering her symptoms. We have therefore been buying only organic produce. Her symptoms have gotten much better, but grocery bills have shot through the roof as organic vegetables are over twice the price of normal ones. Therefore we have taken up gardening so that we can grow our own organic vegetables, and with your help, we are also growing our own mushrooms! We found your guide very helpful and the videos made sure that we were getting all the steps correctly. Thank you for showing us how." "Thankfully, your guide is extremely easy to mushrooms successfully..."
"I've read countless manuals and books about mushroom growing before but yours is the only one which made me feel confident that I could actually grow mushrooms. All the other guides I've read were full of technical jargon and often advocated the use of expensive equipment, which doesn't really make sense if one is only trying to grow on a home-scale level. 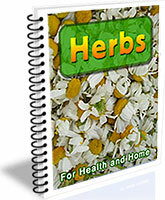 Thankfully, your guide is written in plain English and it made it extremely easy for me to get started and grow mushrooms successfully. I've also built my own incubation and fruiting chamber by following your instructions, and they've only cost me a few dollars of materials. Two thumbs up from me!" "Thank you once again for your encouragement and for your wonderful guide." "Hi Jake, I wanted to thank you once again for your encouragement and for your wonderful guide. Before reading Mushroom Growing 4 You I had no clue on what was involved in mushroom growing...now my family has been eating yummy home-grown mushrooms for two weeks! Best of all is the feeling I get knowing that I am feeding my kids pesticide-free mushrooms, and they have told me that 'daddy's mushrooms' taste better than the ones we used to buy from the supermarket. Not to mention that they work out to be much cheaper too! I can honestly say that your system is worth its weight in gold!" "I love your system not only because it contains all the information..."
"I hope everyone who is trying to grow mushrooms finds your system; seriously it should be the bible of mushroom growing. It walked me from the very start to harvesting, and the mushrooms themselves taste fantastic. The videos were particularly helpful as I felt that I was there with you when you were growing your mushrooms. I love your system not only because it contains all the information I needed to be successful with mushroom growing, but best of all it simplified it so much that even someone with no clue on the topic can be successful. Now I want to try to grow a couple of different mushrooms strains as I'm getting more confident and I actually enjoy growing mushrooms!" "I have increased my mushroom growth rate by about 25%..."
"Hello Jake. I had been growing mushrooms for a few years before discovering your system. I bought it because I thought I may learn something new, and I was right! I have increased my mushroom growth rate by about 25% and I have also implemented your tips to increase moisture, and this has had a noticeable positive impact on mushroom taste and texture (my wife agrees!). I think most people forget the importance of moisture when it comes to mushrooms. I also like the way you describe on how to build your own still air glove box and incubation chamber using cheap parts - I had bought mine for a few hundred dollars! If you're ever in Texas let me know and I'll buy you a beer." "I've just had my first homegrown mushroom..."
"Goodbye pesticide-laden mushrooms, hello delicious organic mushrooms - thanks to you! In the first email I sent you I had told you how anxious I was as I'm not too gifted when it comes to growing stuff, but you were right, I actually managed to get this right the first time. I've just had my first homegrown mushrooms in a salad together with some fresh tomatoes, cucumber and lettuce with a dash of olive oil, and I dare say that it was the best salad I've ever had. Of course I'm slightly biased as the mushrooms were my own, but still! I'm so excited about growing more and more mushrooms and look forward to more tasty salads! Cheers"
"Everybody told me that the mushrooms tasted amazing..."
I've been making good money selling mushrooms and I thought the least I could do is send you an appreciation email. You see, before coming across your system, I had no idea what mushroom growing involves, but I was keen to try as I've already been selling some organic produce (mainly tomatoes and bell peppers) and I was well aware at how lucrative this market is, especially nowadays with the rising food prices. Anyway, I bought your system, read it from cover to cover and watched all the videos. My first mushroom attempt was a small scale one, but it made me confident that I could grow mushrooms successfully and I tasted first hand at how great the mushrooms tasted. So I scaled up a bit and distributed all the harvest among family and friends to get some feedback, and everybody told me that the mushrooms tasted amazing and they had better texture and firmness than the ones they buy from supermarkets. I've now gotten myself a deal with some grocers who sell organic produce, and I've been making superb money for almost three months. I'm going to scale up some more as I'm struggling to meet the demand! Thank you once again, I owe you one. " With the increased demand for products like home-grown organic mushrooms, you can't afford NOT to take action on this offer. Aquaponics is a combination of Aquaculture and Hydroponics. When Aquaponics and Hydroponics are combined within a controlled environment - greenhouse or pond/tank greenhouse combination - large premium quality vegetables and herbs can be grown on a year-round basis while simultaneously producing fresh fish. 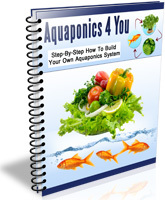 Aquaponics can be used to supplement your food demands or in a commercial manner, as a profitable business. With this comprehensive book, Organic Gardening for Beginners, you can learn nearly everything you need to know to garden without the use of chemicals or other harmful substances! 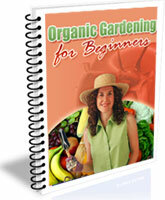 Learn organic gardening the simple way - with this amazing book! There are many things that organic gardening can give you. Worm Farming is clean, green and environmentally friendly. And it's so easy that anyone can do it. 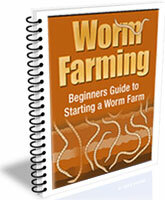 But there's more: you can earn a considerate amount of money by worm farming. From just household waste, the worms will make you the best compost you can wish for! 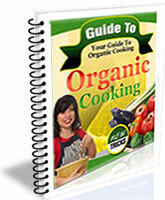 If you have any interest at all in organic cooking... if you want to eat healthier and do your part to help the environment... or if you are interested in growing your own organic foods... then this Ebook was written just for you. Secrets to looking younger and feeling fantastic. 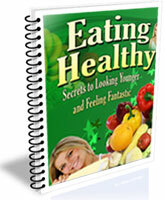 Learn everything about healthy eating. Just think, you'll have everything you'll need to become an organic mushroom grower; never feeling subjected to buying deadly market stocked mushrooms ever again. What's even better is there's no risk involved with the 100% Risk-Free Money-Back Guarantee! Order Mushroom Growing 4 You Now! Mushroom Growing 4 You will show you exactly how to grow mushrooms at home: with the help of step-by-step guides and videos. Mushroom Growing 4 You is in digital format (PDF & Video) which means there is no need to wait for it to arrive. You'll be get started in just minutes from now. To your Mushroom Growing Success! P.S. : This $37 offer is only available for a short period of time. It is also backed by a 100% money back guarantee - so you have nothing to lose. Click Here to Order Now! P.P.S. 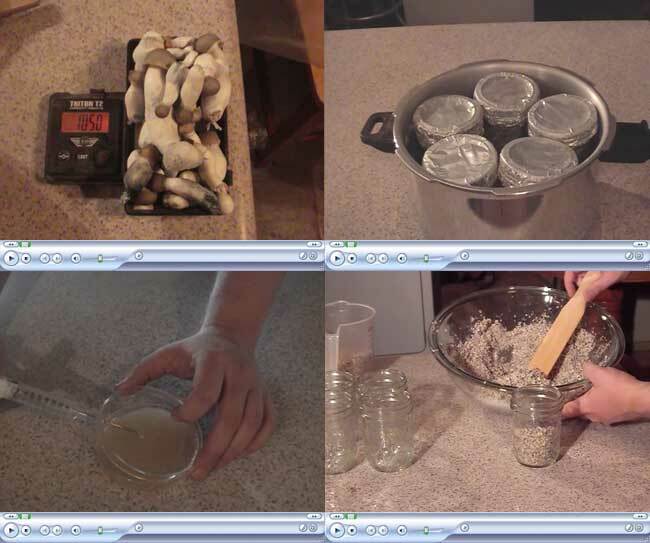 : With my step-by-step video training on how to grow your own mushrooms, getting it wrong will be virtually impossible. Your success is guaranteed!